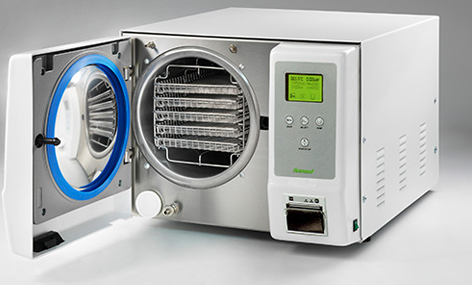 Saturated steam under pressure is the most reliable medium for the sterilisation of re-processable medical devices, and to this end we are delighted to be an approved supplier of the W&H range of autoclaves and sterilisation equipment. The modern and practical aesthetic design of their Lisa, Lina and MS models will look great on the benchtop of your practice and their reliable design will simplify maintenance allowing you to concentrate on patient care. 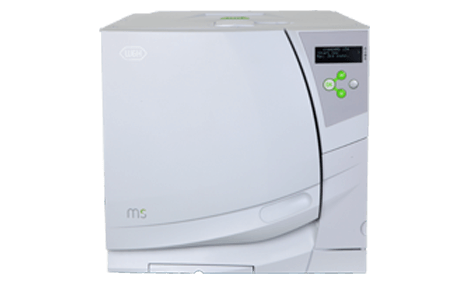 Type B Vacuum Sterilizer Lisa has an easy-to-use menu structure and touchscreen interface which offers superb performance based on the patented Eco Dry technology that allows precise management of B-cycle steam sterilization for an average load (2kg) in 30 minutes. A wide range of integrated features for traceability reduces paper handling, time and money without requiring additional software or a PC. In addition, the new Lisa Mobile App helps you monitor up to 4 sterilizers at any time and place in the clinic. 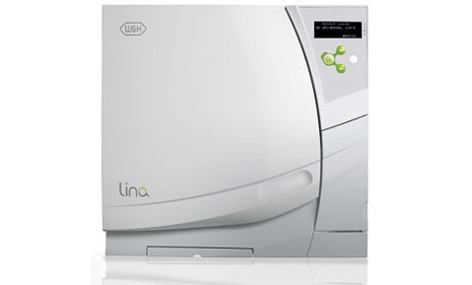 Lisa’s companion autoclave, Lina, offers exclusively type B cycles that are suitable for the sterilisation needs of all types of dental practices. The patented Water Separation System results in silent operation and the built-in dust filter ensures constant performance levels, reduced maintenance and longer service intervals. 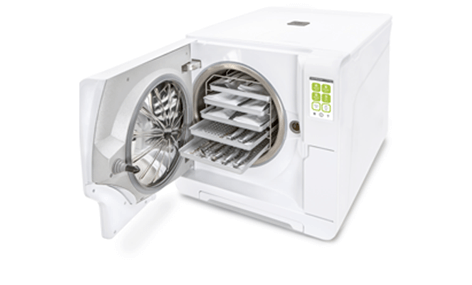 The MS Autoclave offers economical non-vacuum sterilisation, addressing the important considerations of efficiency and long-term operational costs. It is a modern, quality machine for today’s busy practice environment, where economy, performance and compliance are important considerations.